Did you know? Every year around 10 million or 1 crore Indians visit Europe. Likewise, you can travel to 26 beautiful European countries with just one visa. The Schengen Visa Application can do that job for you! Schengen Visa is a unique visa that lets you travel in the Schengen Area comprising of 26 European countries. These 26 countries have officially abolished passport requirements and border control within their mutual borders. A person having a Schengen Visa can move freely in and out of these 26 countries with just one visa, the Schengen Visa. 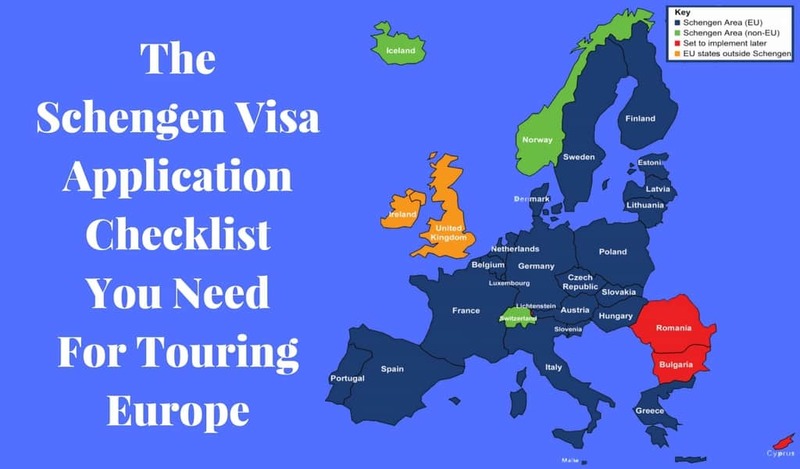 Which are the 26 European countries you can tour with Schengen Visa? If you have a Schengen Visa then you can travel among these 26 European countries for 90 days or roughly 3 months! In this case, the visa is valid only for 180 days or around 6 months. So you must utilize it within this period to enjoy maximum benefits of the Schengen Visa. Also, you need not do your travels at a stretch. You can travel for say 10 days, then come back to India and use the rest of the days later. The only catch is that this visa is valid for 180 days. Thus, you’d have to travel within this 180 day period. How can Indians register a Schengen Visa application? What are the required documents for Schengen Visa application? A Cover Letter – Draft a personal cover letter from you which explains the purpose of your Schengen Visa Application. The reason could be either for business and/or pleasure. Include your travel itinerary and plans and the list of documents you have submitted in the application. In short, this letter acts as a brief summation of your application process to the visa officials. Medical Insurance – Take a medical insurance with a minimum cover of €30,000. A medical insurance can help you cover the medical bills in hospitals in the Schengen countries in case of any health emergencies. These countries usually have a more expensive healthcare system than in India. Travel Itinerary – You need not book flight tickets in advance for your Schengen Visa application. Instead, you can simply provide your travel itinerary. Your travel itinerary should consist of flight dates and flight numbers, specifying entry and exit from Schengen Countries. Also, make sure to include your hotel and stay plans in them. However, when going to collect your Schengen Visa, you may be required to show confirmed flight tickets and hotel bookings. Bank Statements – Submit your original bank statements for last three months along with the original stamp and signature of the bank. Please note that online bank statements are not acceptable and that this is a mandatory requirement. If your parents/relatives are sponsoring your trip, then you will need to show their bank statements and a letter from them. The letter should state that they are sponsoring your entire trip and be signed by them. Choosing Main Country – Statistically speaking, your Schengen Visa application has a higher chance of approval success when applying through the German counter among all other Schengen Countries. Once your visa is issued, you can travel to any Schengen country first and not necessarily to the primary country you applied to. Minimize Risk – Book a flight ticket that promises you the most refundable amount in case you have to cancel your flight because of visa rejection. Handling Visa Rejection – If your visa is rejected you have two options; Appeal the decision or a better way, submit a new Schengen Visa application selecting a different primary country and different VFS Global center. A previous visa denial will not automatically lead to the refusal of a new application. Your new application will be assessed independently. Schengen Visa Application Period – It’d be better for you to pick an appointment date a month and a half before you leave abroad. It would give you the time to make your bookings, finalize your travel plans and put your documents in Order. Usually, it takes about 7 days time for your Schengen Visa application to get processed once all the required documents are submitted. So with all these details in hand, go start your Schengen Visa application process and gear up for an exciting Euro trip visiting France, Germany, Switzerland, and many more beautiful countries!